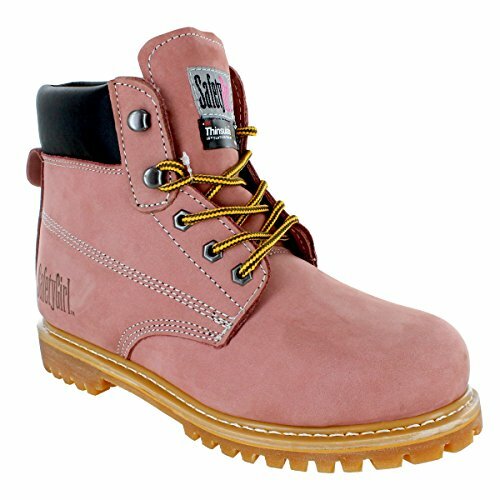 The Safety Girl II Insulated Work Boot - Light Pink features 400g of Thinsulate insulation that will keep your feet warm and dry throughout your long workday. Each boot is made of nubuck leather and features a double color outsole that is oil resistant. The inside of the boot features a water resistant membrane to lock-out water. Steel Toe: ASTM F2413-11 I/75 C/75 (2500 lbs pressure) to keep your toes protected from falling or rolling objects and equipment. If you have any questions about this product by Safety Girl, contact us by completing and submitting the form below. If you are looking for a specif part number, please include it with your message.